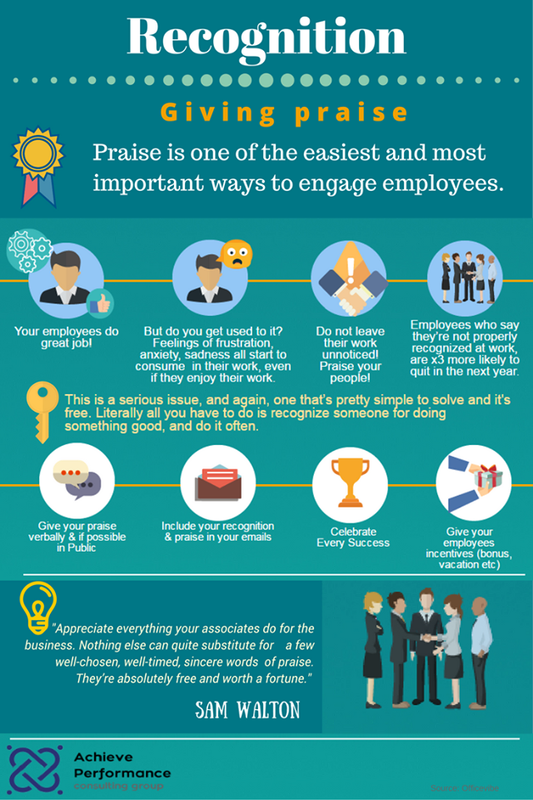 First, let’s talk a bit about receiving praise, and how that affects employee engagement. Receiving praise is biological. This is something that as humans, we can’t really control. We need dopamine one way or another, so if we don’t get it from our managers, maybe we’ll get it from a bottle of liquor. It’s actually an advantage for an employer to know this, because when employees get that feeling of dopamine for a job well done, they want to do that same thing again,in order to get more dopamine so their likelihood of doing more good work is much higher. Employees who say they’re not properly recognized at work, are 3 times more likely to quit in the next year. 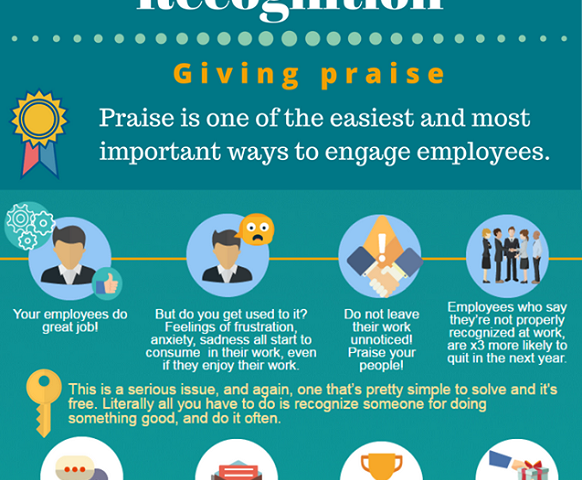 As a leader or manager, all you really have to do is be mindful of employees who say they’re not properly recognized at work and make sure to give frequent praise and recognition.